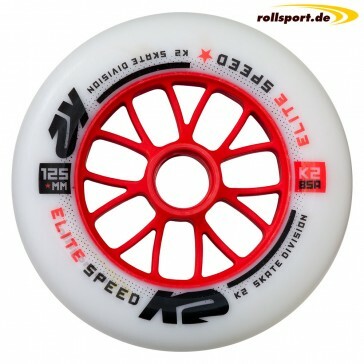 K2 Elite 125 mm wheel - The new single speedskates replacement wheel with 125 mm wheel diameter and 85a hardness. Suitable for 3 wheeler inline skates. 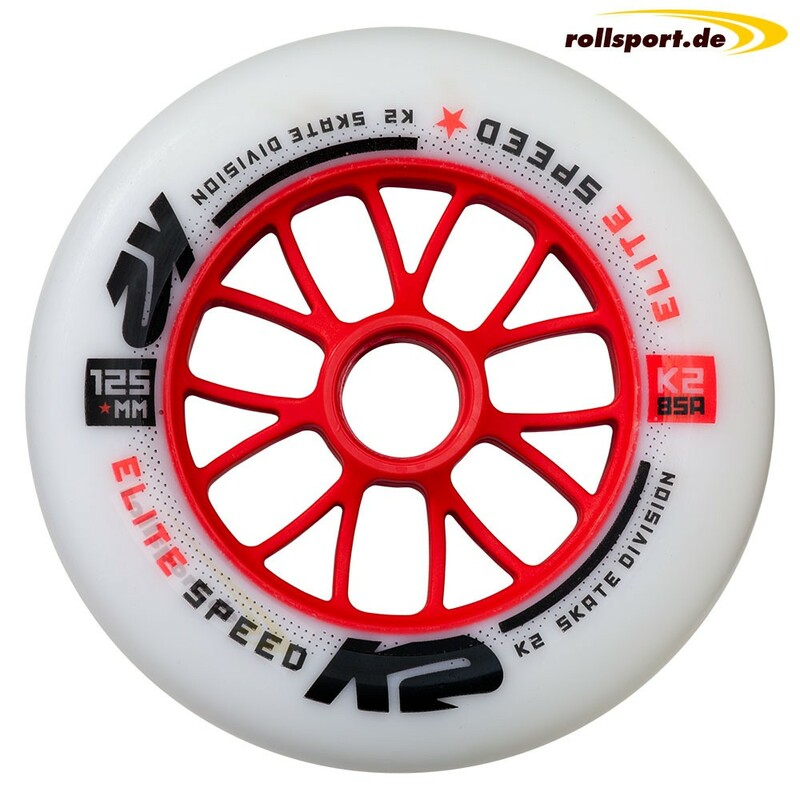 K2 125 mm Wheel - Elite wheels for speed skates. The 125mm diameter wheel is completely new in the program of the manufacturer K2. With the new big wheels, K2 follows the trend of the times. After nearly every inline skates manufacturer had pushed up on 3x 125mm skates or at least 3x 110mm in the last years, K2 stayed up to the previous standard until these days. At this year now, K2 will start with the whole 125 mm program. This wheel is originally installed in the K2 Mod 125 Skate installed. These speedwheels can, of course, be installed in any inline skate with a wheel size of 125mm. This product is shipped single. 1x 125 mm wheel with 85A hardness.